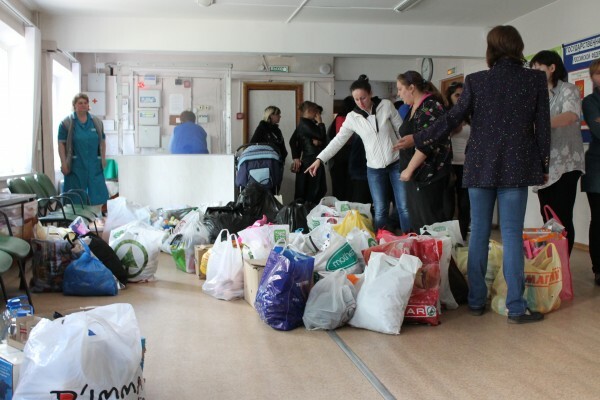 The Embassy of the Russian Federation in Spain and the church of St Mary Magdalene in Madrid, through joint efforts, have already collected 700 kilograms of clothes in aid to refugees who have found themselves in Russia as a result of the armed conflict in eastern Ukraine. In Moscow the cargo was handed over to the Synodal Department for Charity and Social Work. “Our common aid to the roofless is a good example of cooperation between the Church and diplomats”, said Archpriest Andrey Kordochkin, rector of the church in Madrid. Earlier the parish announced a fundraising campaign for aid to the Monastery of the Assumption in Svyatogorsk which gave asylum to over 700 refugees including the family of a priest who had been killed in the conflict, the website of the Diocese of Chersonese reports.